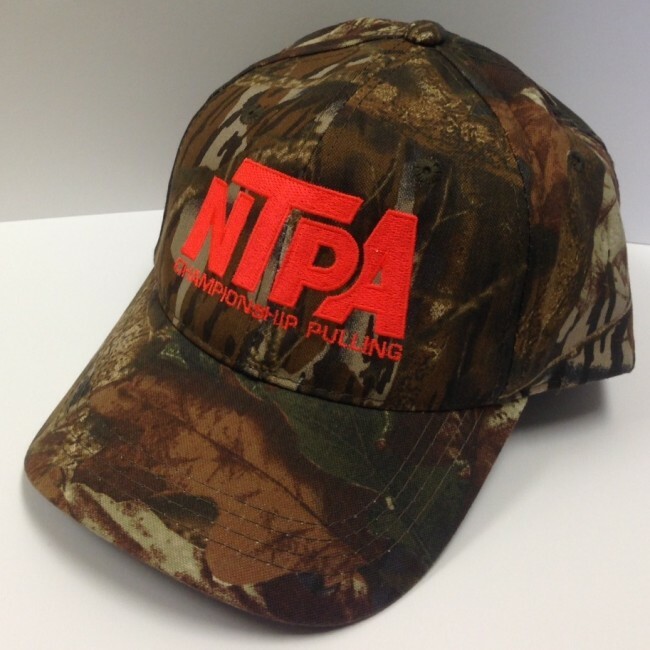 Hunters will love this Mossy Oak camo hat embroidered with an orange NTPA Championship Pulling logo! Cloth back. One size fits most.